Beverly A. Welu 80, of Dubuque, peacefully passed away at her home with her family at her side on Sunday, October 21st, 2018. A funeral Mass will be held at 10:30 a.m. Thursday, October 25th, 2018 at St. Joseph the Worker Catholic Church with Rev. Tom McDermott officiating. Burial will follow at Mount Calvary Cemetery. Visitation will be from 3:00 p.m. to 7:00 p.m. Wednesday at the Leonard Funeral Home & Crematory, 2595 Rockdale Road where a wake service will be held at 6:45 p.m.
Beverly was born on May 2,1938 in Dubuque, daughter of Lloyd and Mary Vivian (Conroy) Howes. 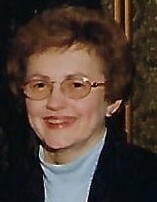 She graduated from Dubuque Senior High School in 1956. She married John "Jake" Welu on September 14, 1957 at Holy Trinity Catholic Church. She was employed at John Deere Dubuque Works in the purchasing department and retired in 1992. Beverly enjoyed going to the casino, bowling, playing cards and watching her daughter and grandchildren play the numerous sports they enjoyed. She was always their biggest fan. Dubuque. She is survived by in-laws, Doris Howes and Patricia (James) Brown - both of Dubuque and Betty Welu of Barlett, IL. In addition, she is survived by many nieces and nephews. She was preceded in death by her parents; her brother Robert Howes; mother and father-in-law, Loras and Edward Welu; brothers-in-law, Edward Welu Jr. and Thomas Welu. The family would like to thank the staff and physicians at Mercy Medical Center, Medical Associates and Hospice of Dubuque for their compassionate and empathetic care and support.